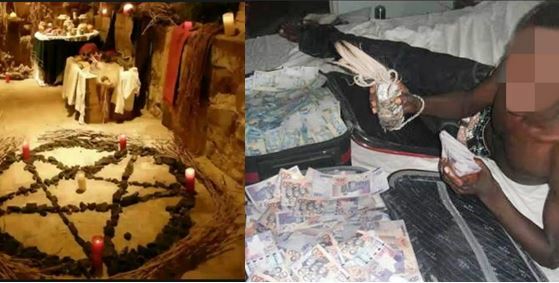 According to report, a Ghanaian Yahoo boy has cried out for help as he claimed fire burns him; evil spirits, and lions haunt him after his attempt to get rich quick through diabolic means. to double his money and make him rich quickly. After all this, I realized lots of money in the box and he told me I had to offer a sacrifice before I could use the money. He later said the sacrifice was worth GHC 2,500 and I have to provide it within two days. I complained to him that the initial money I gave to him was lent to me by a friend and that I couldn’t afford such money but he insisted,” he revealed.